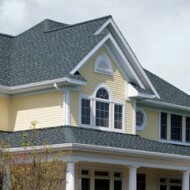 Attic fans play an important role in maintaining a healthy, energy efficient home. 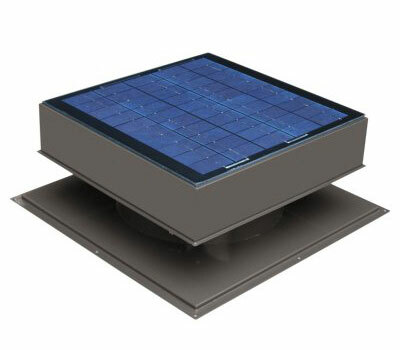 Our sleek and efficient solar attic fans are fully powered by the sun and can be placed wherever you need improved circulation, such as attics, lofts, workshops, storage sheds, garages or even barns. Ventilates up to 1,800 sq./ft. of attic space at up to 1,280 CFM. Ventilates up to 2,200 sq./ft. of attic space at up to 1,600 CFM. 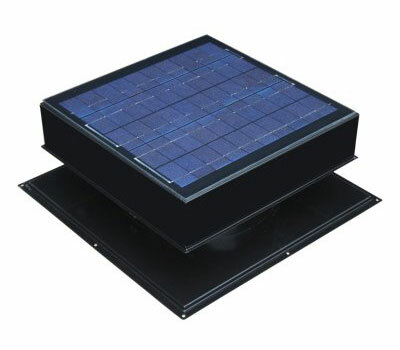 Ventilates up to 2500 sq. per ft. of attic space at up to 2,200 CFM. How will an attic fan protect my home? 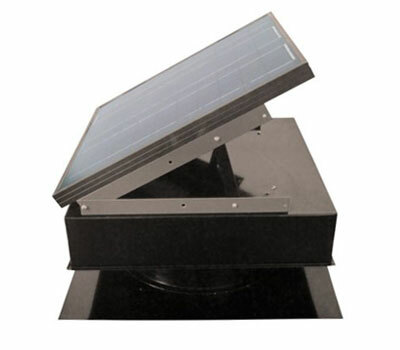 Attic fans serve several purposes throughout the year. In the warmer months, the primary purpose is to keep the space cool. Regardless of how much insulation is in your attic, heat can transfer into adjacent living areas. In the height of the summer, attic temperatures can exceed 160°F, but a fan can lower it by up to 50°F. A cooler attic will not only reduce the load on your air conditioning system, it will also extend the life of your roofing material. In cooler months, an attic fan’s primary job is to keep moisture levels down. Everyday activities like showering and cooking can generate vapor buildup in your attic. If not removed, excess moisture can lead to a range of problems like rust, rot, and increased bacteria and mold counts, which can have a direct impact on respiratory health. By improving fresh air circulation, attic fans remove moisture and keep the air dry. Attic fans are also critical during the frigid months by preventing ice dams. Ice dams form when snow melts over a home’s heated spaces, such as an attic, and runs down the roof only to freeze again over the cold eaves. Ice builds up along the eaves and traps snow-melt water, which eventually flows under the shingles and into the attic, resulting in serious damage. In addition, ice runoff from the roof can build up in gutters, potentially causing them to rip off a house due to the heavy weight. The best way to prevent ice damming is through proper attic ventilation which will minimize the thaw/freeze cycle. 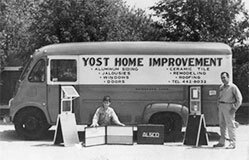 CALL 1.800.422.YOST FOR A FREE ESTIMATE!